On one of our past hikes on the North Shore, we noticed a side trail that looked promising and made a note to return someday. For some reason, even though I could find no information of this hike, it piqued my interest more than any others and made its way to the top of my “must hike” list. So one weekend, when rain was predicted everywhere else and Curtis had only one day free, we decided to go try it out. We made the hour-long drive up North and arrived at the trailhead after 8. We started out on the main trail for over a mile until we came to the turn for the mystery trail. There were no signs prohibiting hiking here, so we began confidently along the very clear path. As we looked up at the hills, we could make out where the trail went up and switchbacked its way up to the peak. Curtis noticed that there seemed to be a break in the trail where he wasn’t sure if there was a trail, but I brushed it off thinking that once we were there, it would be obvious. 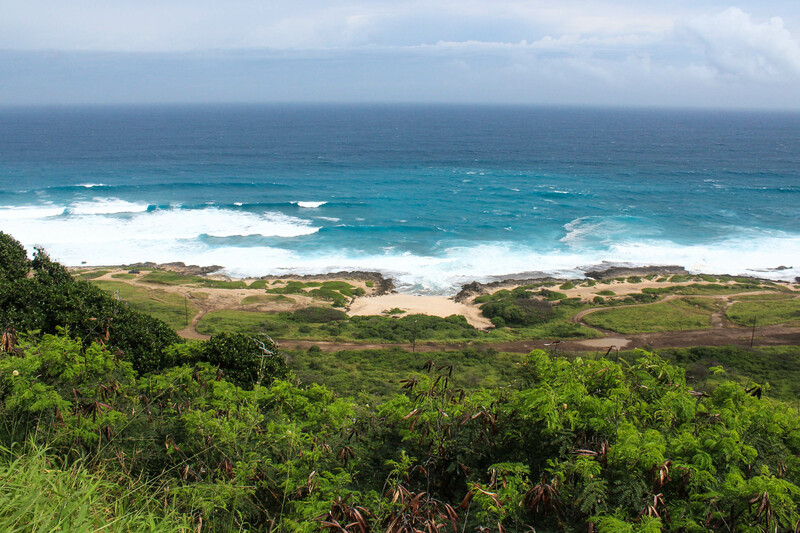 In my mind, this path looked clear and promised stunning views of the North shore and its giant waves. Soon after beginning the “obvious trail,” it started to become overgrown with tall grass. It only grew taller, and soon it was higher than me! We pushed through, carefully watching the ground and the now less-obvious trail. It became more narrow, hugging the steep hillside as it began gaining in elevation. The rocks were crumbly and some sections were more narrow than others, but it became clear to us that this was a man-made trail, possibly even a road at some point. We missed the first switchback but soon realized our mistake when it appeared that the trail went straight up the hill. It did however give us a peak into a canyon carved between the hills. A short backtrack helped us find the real trail and we continued our quest — and then it started raining. Thankfully we know to carry an umbrella all the time here, so we huddled under one and waited for the short shower to pass. As it turned out, Curtis was correct in noting that the trail seemed to end. He searched for quite a while to find the second switchback and came up with no ideas. He also noted that just pushing on straight uphill wasn’t safe — it was so overgrown that you couldn’t always see if there was a trail, so it was easy to lose your footing. 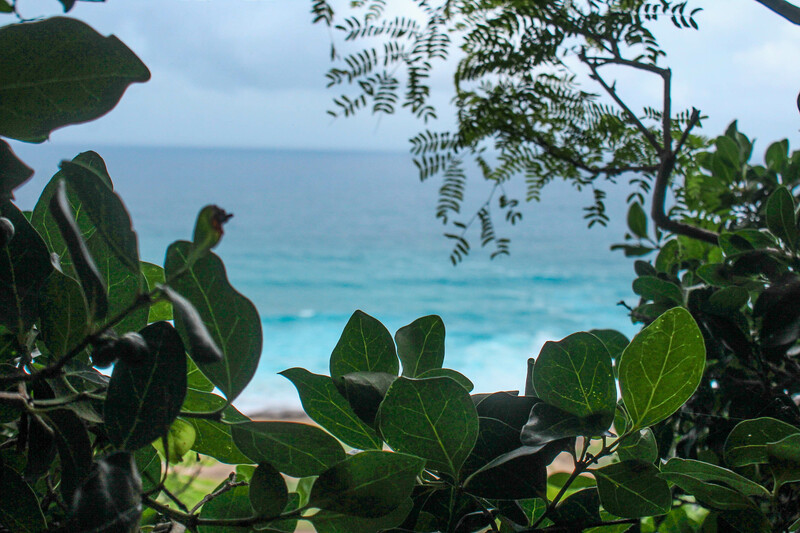 We know a few things about sketchy trails on this island: 1. It’s easy to get stuck in a precarious position and be unable to get out, or worse, become injured while on unmaintained trails, and require an emergency rescue. Obviously we don’t want to be a statistic — each year, hundreds of thousands of Hawaiian tax payer money is used for helicopter rescues for hikers in these types of situations (even on easy hikes like Diamond Head). And 2. If there are injuries or fatalities on trails, the state won’t hesitate to make those trails illegal. (For example: Sacred Falls) Someday, we’d really like to find the end of this trail, and we can’t do that if it’s illegal… So we gave in and carefully made our way back down. All was not a waste though, we did enjoy the North shore from a higher perspective and were all by ourselves for our little exploration. We searched harder when we got home to see if anyone else had done this trail, and found a couple Youtube videos. However, none of them showed exactly how they got around our little obstacle…I guess that’s for future Curtis and Jess to figure out. 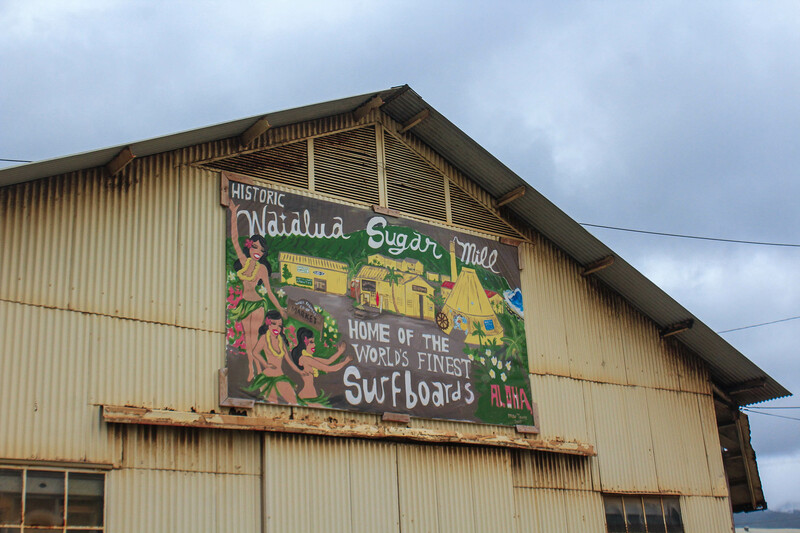 Afterwards, we set out on another exploration: this time, to the town of Waialua also on the North shore. As readers know, we have been searching for Peter Toth’s Whispering Giant statues all over the country. He has done at least one in every state, and Hawaii’s was originally carved and placed in front of a restaurant near Sunset Beach on the North shore of Oahu. However, that restaurant shut down about 10 years ago, and they moved the giant. 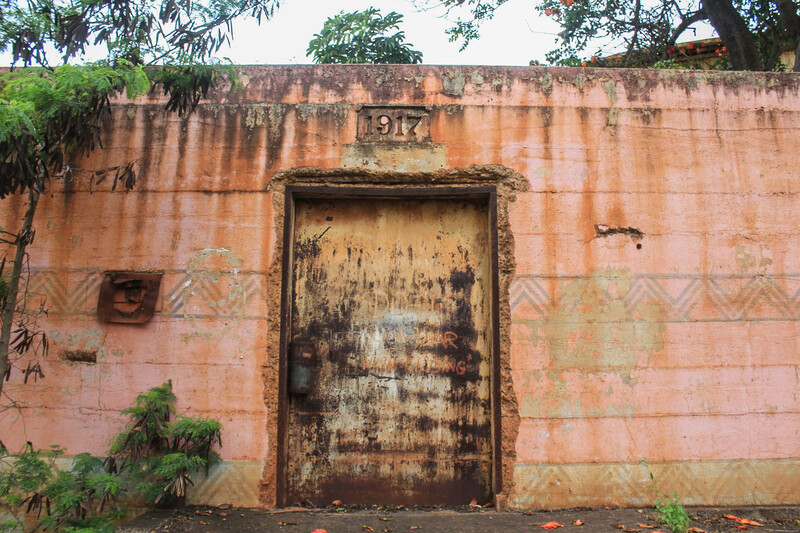 The last known sighting that we are aware of was in a lot in Waialua. We arrived around noon on Saturday as a farmer’s market was finishing up, so we fit right in parking and wandering around near the coffee and soap factories. Curtis had the exact coordinates of where to look, and when he didn’t see it and was worried about trespassing, we resorted to asking the owners of the factories and shops around the area. Most of their answers were the same: “I remember seeing it on Sunset Beach, but I don’t know where it is anymore.” We’d ask if they knew someone who might know, and continued the cycle until we grew tired of trying. Unfortunately, the lot where it was last seen looks like a lumber mill…and we fear that we are a few years too late to see the giant. Our hope is that someone saw it and appreciated it, took it home and has it preserved in their yard. If that’s the case, it’ll take a lot more asking around. One individual that we asked kind of made a face and said “Oh yeah, that statue was supposed to be a Hawaiian but it looked more like a Native American.” We hope that negative attitude wasn’t shared among the locals, because we know that wasn’t Toth’s intention at all — he just has a lot more experience in carving Native Americans. Hopefully if it’s still around, we’ll come across the right people who know while we’re living here. To cheer ourselves up after our failed explorations, we stopped in Haleiwa for the Snow Factory’s shave ice cream. Not every adventure can be successful…but as long as we keep making every effort to enjoy our time here, it’s never truly a failure.